I hate it when Android manufacturers start following Apple even when they introduce a dumb design element. 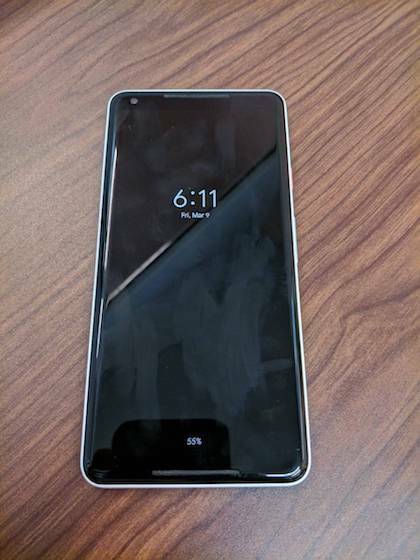 It happened with the killing of the headphone jack and it is happening again with the iPhone X’s ugly-looking notch. My feelings aside, Google knows that 2018 is going to be a year of notches, that’s why to help app developers adapt to the notch trend, Google has included a new feature which allows developers to emulate notch on any Android device. 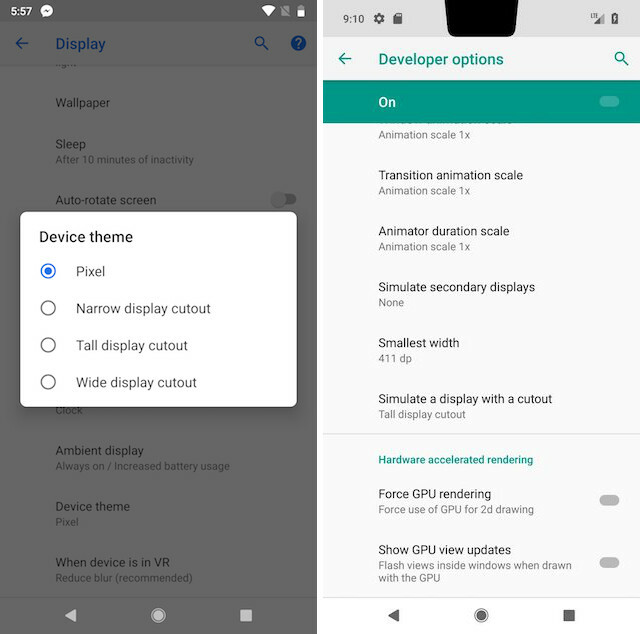 One of the biggest cosmetic change that is coming with the Android P is to the Quick Settings Menu. The Quick Settings Menu is receiving a fresh coat of paint with an emphasis on rounded icons with the solid white background. Also, instead of showing paginated views, not the menu supports vertical scrolling. A ton of changes are also coming to the individual quick settings toggle. For example, Android P no longer allows expanding the toggles, turning on the low power mode no longer makes the notification bar turn orange, and the adaptive brightness causes the quick settings slider to animate. 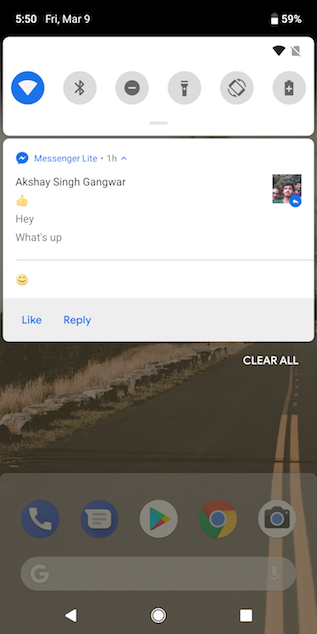 Android P brings one of the most requested features on Android which is the ability to see past few messages in notification to make it easier for users to get a context of the conversation. Android P also supports inline images and stickers inside a notification and brings the smart replies feature natively to Android. 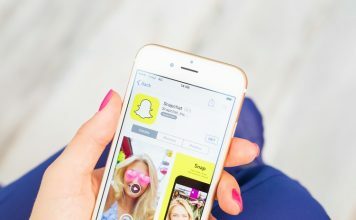 With the alleged allegations that companies like Facebook are listening to user’s conversations through the phone’s microphone to serve ads, it had become paramount for Google to address these issues. 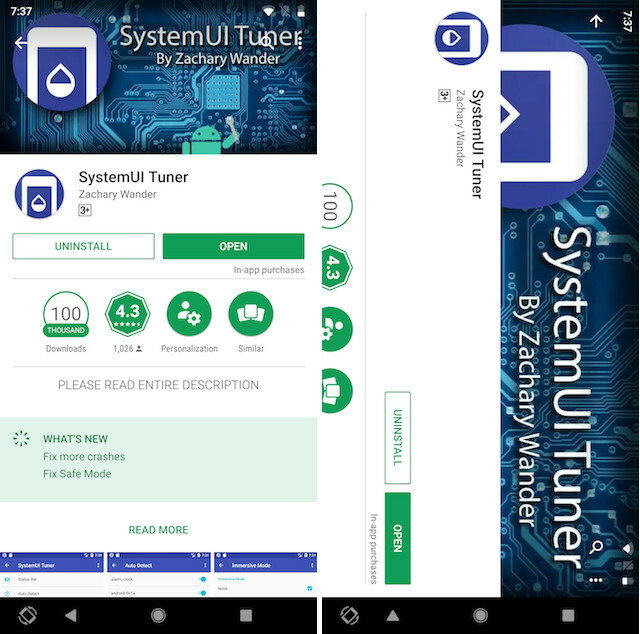 With Android P, Google has instituted a new security feature which will disallow idle apps from accessing the smartphone’s sensors including microphone and camera. If an idle app is trying to access microphone, the microphone will report empty audio and all sensor events will stop. 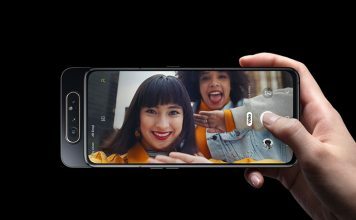 Android P will finally allow developers to take benefit of multiple camera hardware present on the smartphones as it brings the new multi-camera API. The new API will help developers access data from all the cameras present on a smartphone without any problem. The obvious use that comes to mind is the use of both front and back camera simultaneously to get multiple frames of reference. That said, we will have to wait and see as to how developers take benefit of this API. 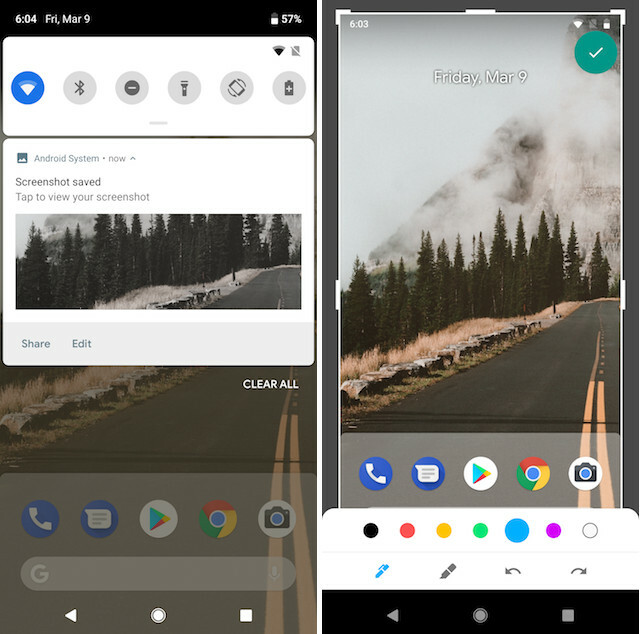 Android P is finally bringing a native screenshot editing tool which OEMs like Samsung have been providing us for years. The new tool which is called Markup allows users to edit screenshots using various markup tools inducing paint, free-hand writing, text, and more. Apart from the Quick Settings Panel, the other UI element which is receiving a major cosmetic improvement is the main Settings page. 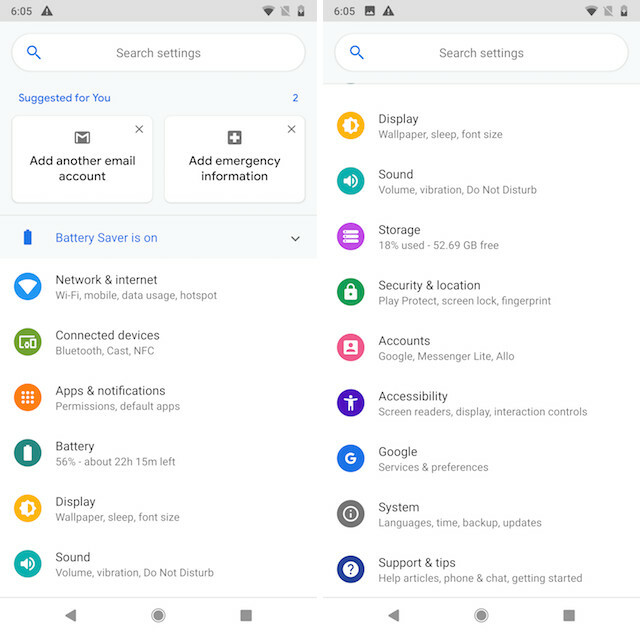 The new Settings page gets a more organized interface, adds colors for different settings menu to make them more identifiable, and brings a rounded search bar at the top. 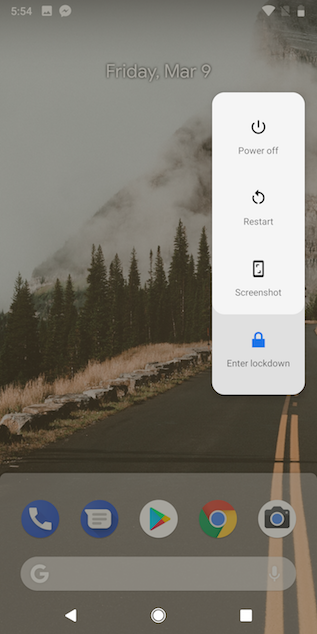 Android P is also bringing a few changes to the lock screen and always on display feature of Android. Now, the pattern lock on the lock screen starts fading as a user is tracing it. Also, the always on display will show battery status at the bottom which is a very nice addition. With Android Oreo, Google introduced a nifty new slide-out Power Menu which was triggered by long-pressing the power button. 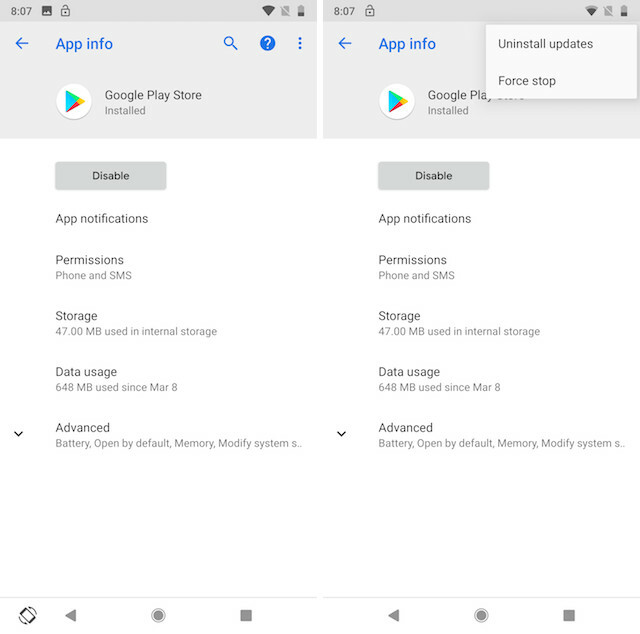 With Android P Google is introducing two more toggles to the Power Menu on top of the already existing Restart and Power off toggles. The first one is a Screenshot toggle which does exactly what it sounds like. The other new addition is the Enter Lock Down toggle which when turned on disables the biometric authentication and requires a user to enter his PIN or password if he/she wants to unlock their device. 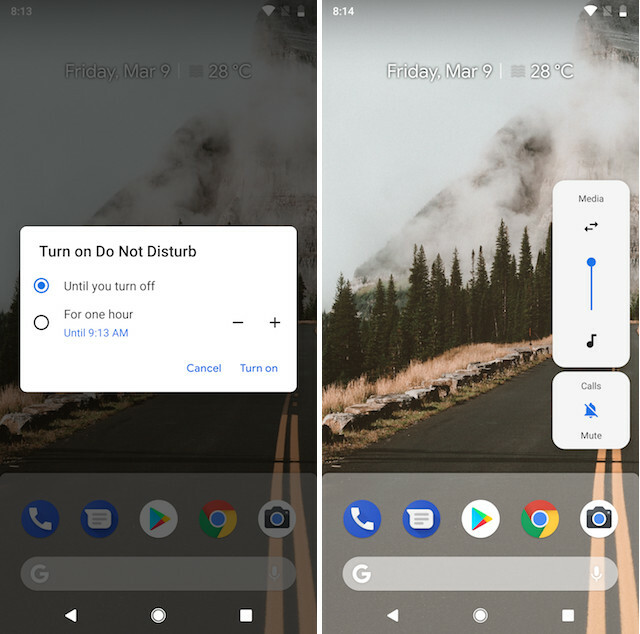 Just like Power Menu, Android P is bringing a Volume Menu which can be accessed by hitting the volume rockers. The new Volume Menu gives you access to easy shortcuts such as media control and the ability to mute the phone. The menu is not only useful, it also looks really nice. 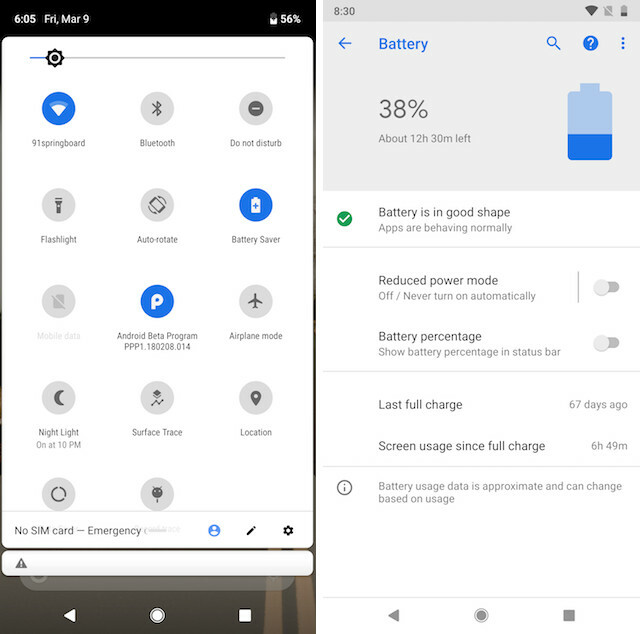 Apart from the removal of orange color from the notification bar, the battery saver mode on Android P is bringing some more changes. Firstly, now you can schedule the battery saver mode to turn on from anywhere between 5% and 70% battery. Previously a user could only schedule the battery saver mode to kick between 5% and 15%. The second change is the removal of the per-app breakdown of battery usage data, which frankly is a not a welcome change. 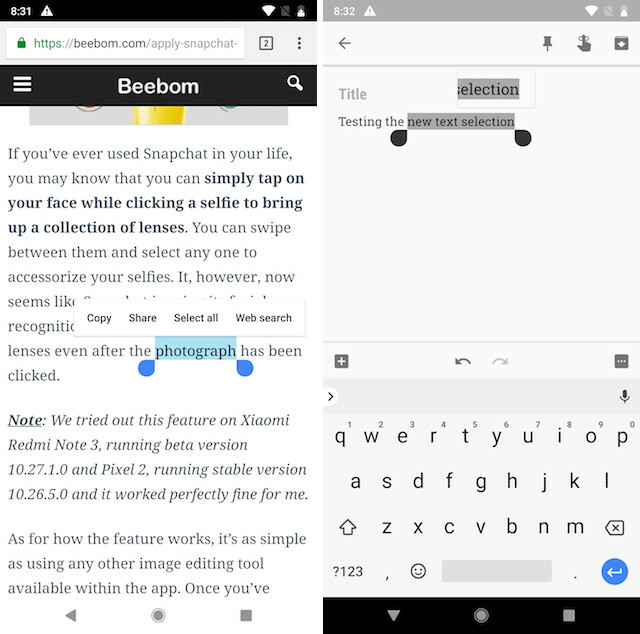 Android P is also bringing improvements to text selection box which pops up when you select a part of the text. The first difference is the cosmetic one. The text on the pop-up menu buttons is no longer capitalized. Secondly, when you change the selected text, it will show a pop-up window which shows the highlighted text in a zoomed window to help you select the text. Android P also allows users to easily switch between time zones. Now when you are switching between time zones you can first select the country and then the city. 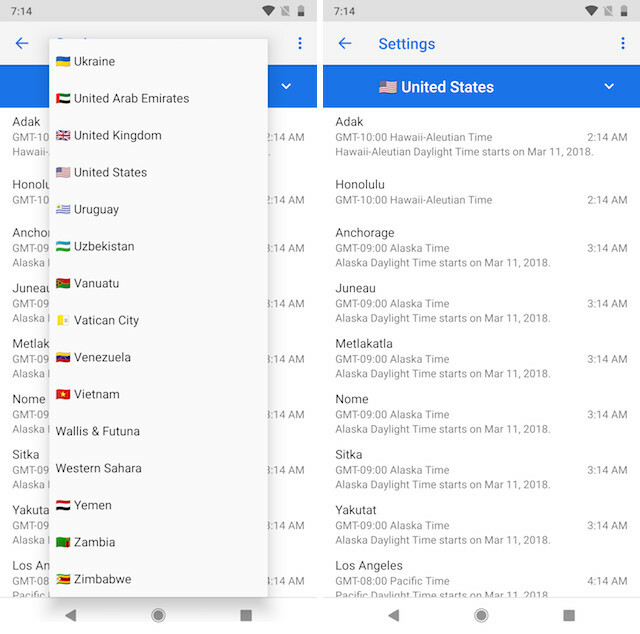 Before Android P, you had to choose from the list of different cities which made changing the time zone a little bit of hassle. With the new Android P update, users will also be able to easily switch between landscape and portrait orientation without having to turn on the rotation toggle. In Android P, when you change the phone’s orientation, a little toggle comes up which allows you to switch between the landscape and portrait orientation. Android P is bringing a ton of enhancement to WiFi connectivity. Firstly, now it’s way easier to mark your WiFi connection as “Metered”. 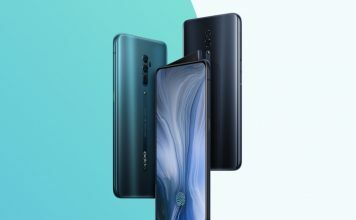 A Metered connection means that the OS will treat your WiFi just as a mobile network, so it will stop any background updates or large files download. The feature is very useful if you are on a restricted WiFi plan or using someone’s else mobile hotspot. To set a connection as Metered, just go to WiFi Setting -> Name of the Network -> Advanced. The second improvement runs behind the scene which most user will not notice, however, it is very important for user privacy. 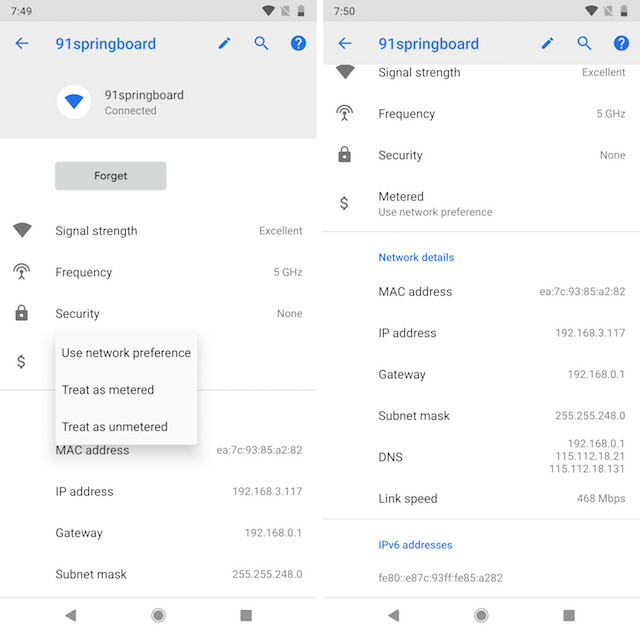 Basically, with Android P, the OS will now attach different MAC addresses for different connection, disabling any cross-network tracking. One more addition is the support for IEEE 802.11mc which allows apps to measure the distance to nearby WiFi access points. This can be really useful in improving indoor navigation. 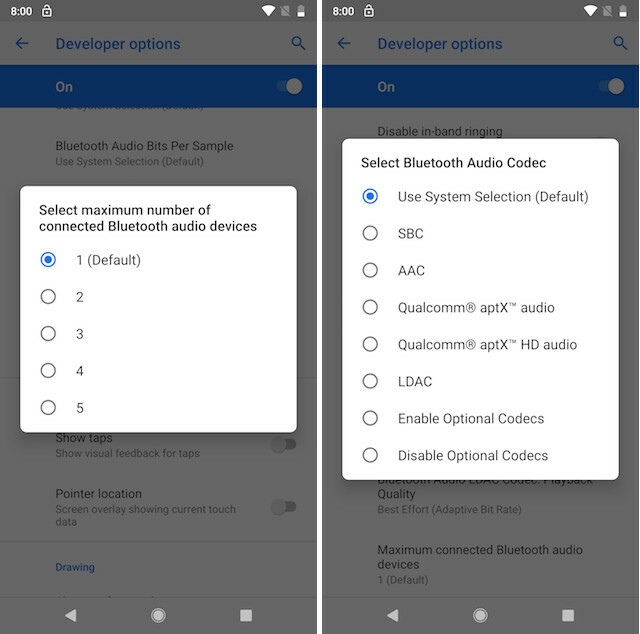 On Android Oreo, the maximum number of Bluetooth devices that you could connect was two. With Android P, Google has increased the number of devices to five, which means that most of us will be able to connect all our Bluetooth devices at once. You will have to enable the developer mode to access this feature. While you are there, you can find many other options related to Bluetooth including the ability to change audio rate sample, audio channel mode, and more. Google is also pushing some minor changes the App Info section of the Settings app. Firstly, The Force Stop button has been moved to the 3-dot menu present at the top right of the page. Also, information such as battery usage, data usage, and more has now been hidden inside new Advanced menu. 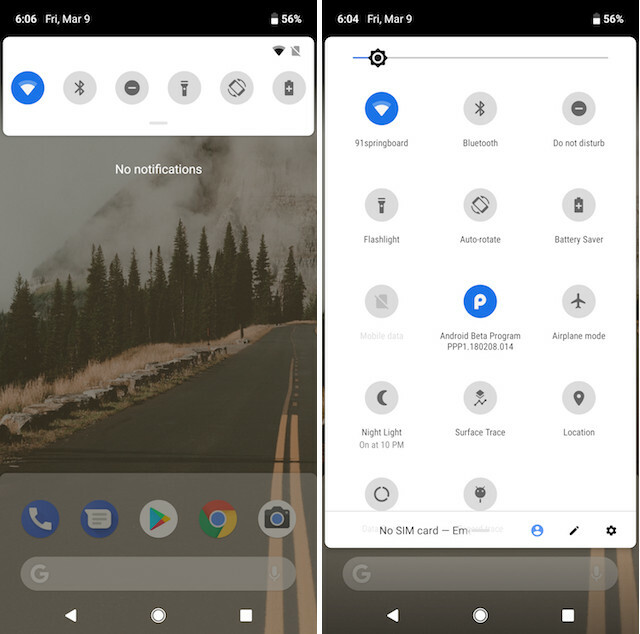 Google has simplified the “Do not disturb mode” with Android P as it has taken away the option to choose between Priority only, Alarms only, and Total Silence mode. Now you get no option and enabling the mode will activate the full Do not disturb mode (Total Silence). 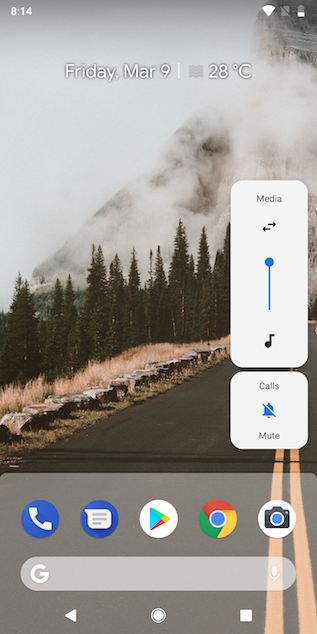 That said, users who want to just mute calls and not Alarms can do that by going to the Volume Menu introduced with Android P.
Lastly, there’s the new Android P Ester Egg which can be accessed by tapping on the Android Version multiple times. The new Ester Egg is the letter P surrounded by colorful concentric circles which are animated flowing outward and inward. The color of the concentric circles also changes every time you open the easter egg after closing it. With Android 8.1, Google introduced neural network API for developers which provided them with hardware-backed tools for machine learning. With Android P, Google is now expanding the API support for 9 new operations including Pad, BatchToSpaceND, SpaceToBatchND, Transpose, Strided Slice, Mean, Div, Sub, and Squeeze. Last year at Google I/O, Google extended the support for Kotlin programming language. With Android P, Google is giving a performance boost to Kotlin based apps which will now be faster. 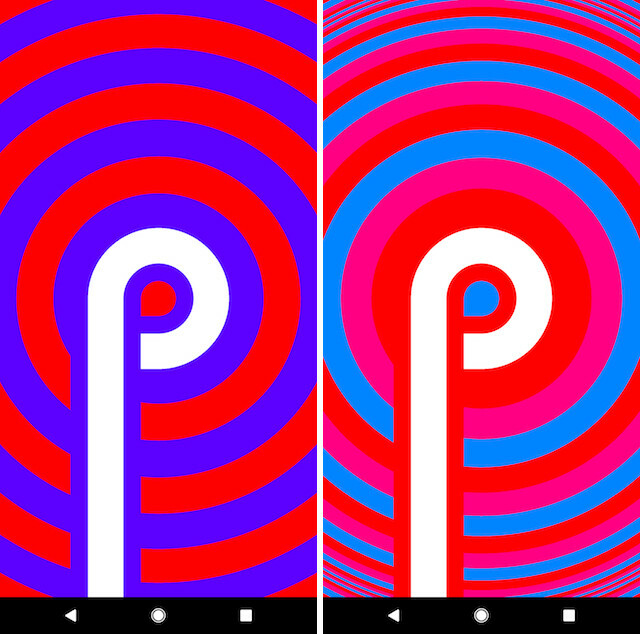 Android P is also bringing improvements to ART or Android Run Time. The improvements will boost app performance and will result in decreased app startup time and DEX memory usage. One of my favorite features of Android Oreo was the new Autofill API which allowed password managers to directly fill in the user id and password inside apps. This was a huge relief as I didn’t have to go back and forth between my password manager and the app I that I wanted to log into. With Android P, Google is adding a number of new APIs to Autofill framework which will result and in faster and better autofill in apps. 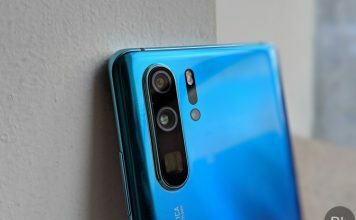 Android P is also bringing support for HEIF (High-Efficiency Image File Format) which is a better image format as it can hold twice the data of JPEG files in almost the same file size. Google is also adding support for HDR VP9 format which will allow developers to easily develop apps which can play HDR Video content. Your favorite new Android P Feature? That end our list of Android P features that we have discovered till now. Although Android P is not bringing many UI changes, there are a number of under the hood changes which has us excited. 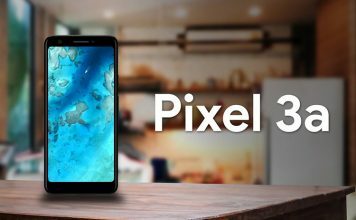 Do let us know which is your favorite Android P feature by writing in the comments section below.